Needle piont plastic empty liquid bottle. 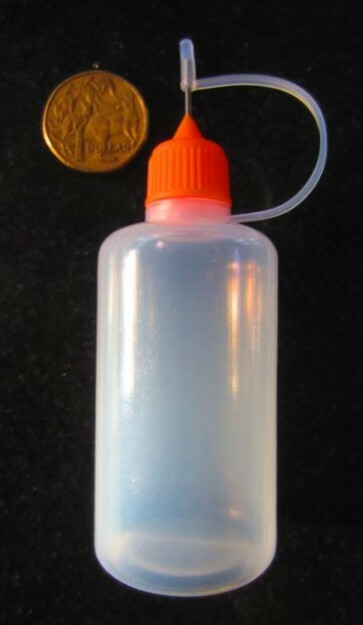 Perfect for your slot car oils and other liquids such as Voodoo drops, Shellite or other tyre cleaning liquids. NB: Dollar coin is for size comparison only and not included. Cap colours may vary from photo.